Reaching people through a campaign of honest, authentic storytelling invigorates a global brand. Hitachi is a global technology company that makes all kinds of amazing stuff - from bullet trains to cancer-fighting proton beam technology. Unfortunately, they were so busy making these things that they forgot to tell the North American business audience. Instead of going to toe-to-toe with the big spenders in their space (GE, Sony, etc) an integrated storytelling campaign would treat the "audience" like "real people" - reaching hearts and minds and doing the emotional heavy-lifting that can't be bought with traditional ad dollars. 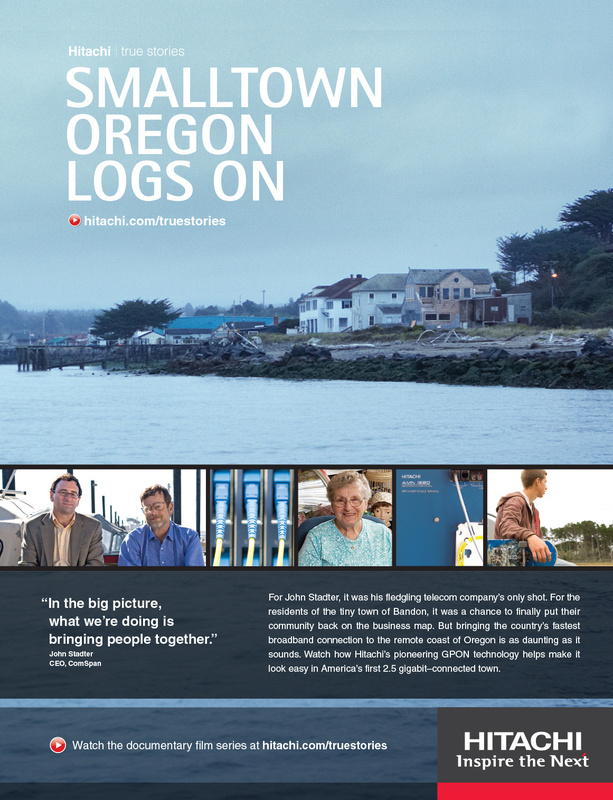 We recommended to the Hitachi executives that the right direction for their campaign was to create a web-based documentary film series that showed off the amazing work they were doing in the USA through the stories of the people it directly affected. Their response, in Japanese, seemed to be "you wanna do WHAT?" But after a very long, translated conversation they agreed that this was the way to go. I think. 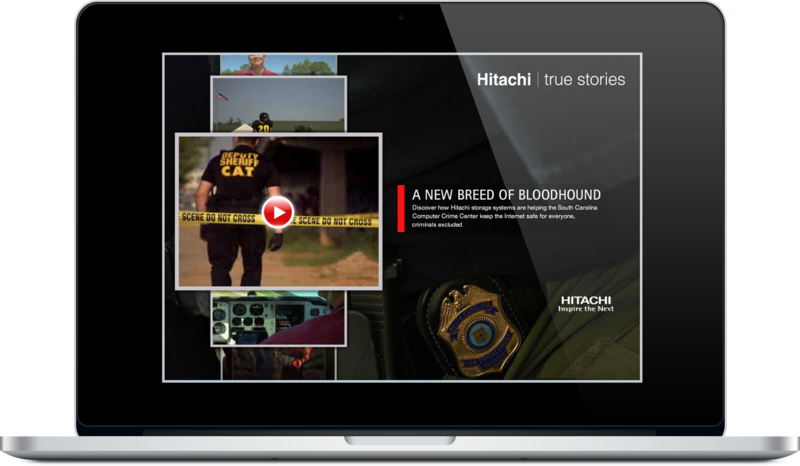 At the center of the campaign was the Hitachi True Stories website where you could watch all of the films, download them, share them, all that good, interactive stuff. In all we made 8 films. Here's one about how Hitachi's technology is enabling law enforcement in South Carolina to go after cyber criminals. This sort of subtle, very long-form advertising is what we’re going to see a lot more of in the not-too-distant future. Kudos to Hitachi for showing it can be done with style and subtlety. 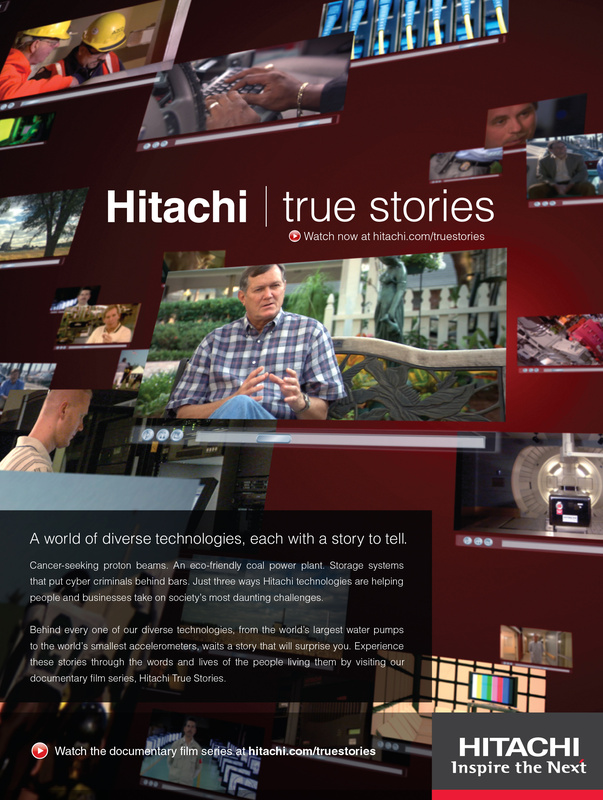 With films as the center of this campaign, the integrated advertising campaign promoted the films and gave viewers a synopsis of Hitachi's story.